Hello everybody! 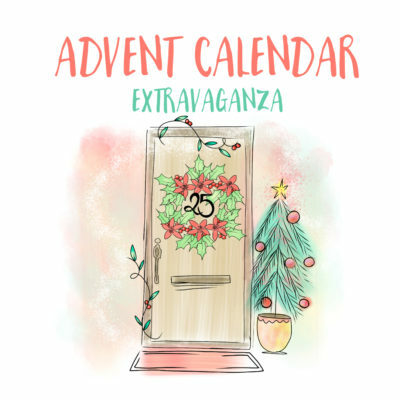 And welcome to Day 7 of Advent Calendar Extravaganza!! Let’s get on with Day 7, shall we?! Today’s sponsor is Mama Elephant! One of my most favourite companies, Mama Elephant captured my heart from their very first release a few years ago! 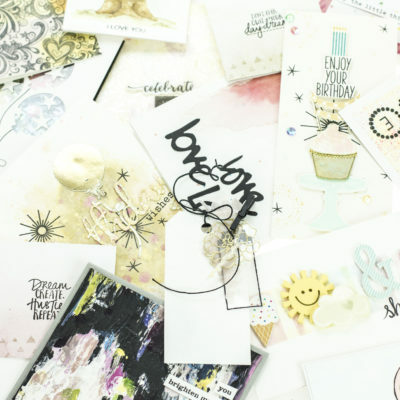 With a range that spans from sophisticated to cute, they’ve definitely something that every stamper needs! I’m so thrilled to have them sponsor the event this year! Mama Elephant are generously sponsoring a $25 gift certificate to their store! With an amazing array of products you’re really going to be spoilt for choice spending it! How adorable is this scene?! It was definitely a labour of love but it was so worth it! I stamped the bears, tree, stockings, and presents from the A Beary Christmas set, and the fireplace from the Merry Mantle set, stamping the ornaments garland first and masking it before stamping the fireplace for a one-layer finish! I coloured everything with Copics then fussy cut them out. I enjoyed adding bits of shimmer and sparkle with a Wink of Stella pen and with some Nuvo Glitter Drops too! Next, I went to work on my card base, blending two different Catherine Pooler inks for my awesome background, and adding some mist splatter and water droplets for some additional detail. 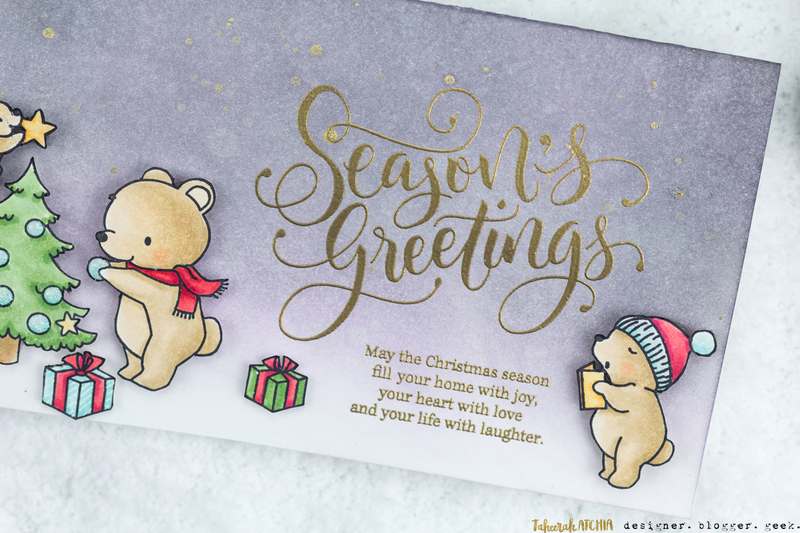 I stamped and heat embossed the sentiments from the Season’s Wishes set with gold embossing powder. Everything was adhered in place using Pinflair Glue Gel for some custom dimension! I loved framing the sentiment with my scene! One more shot, just because I love this card so much!! 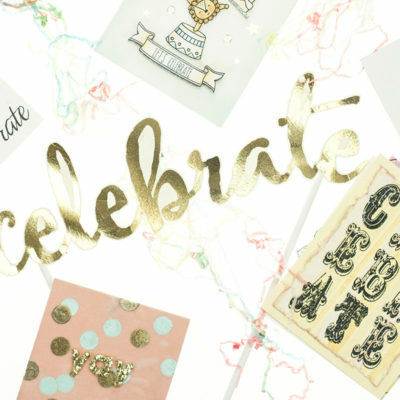 It’s not a party without a prize – and with prizes every day there are several chances to win! Today’s prize is generously supplied by Mama Elephant so you’ll definitely want to get your hands on it! 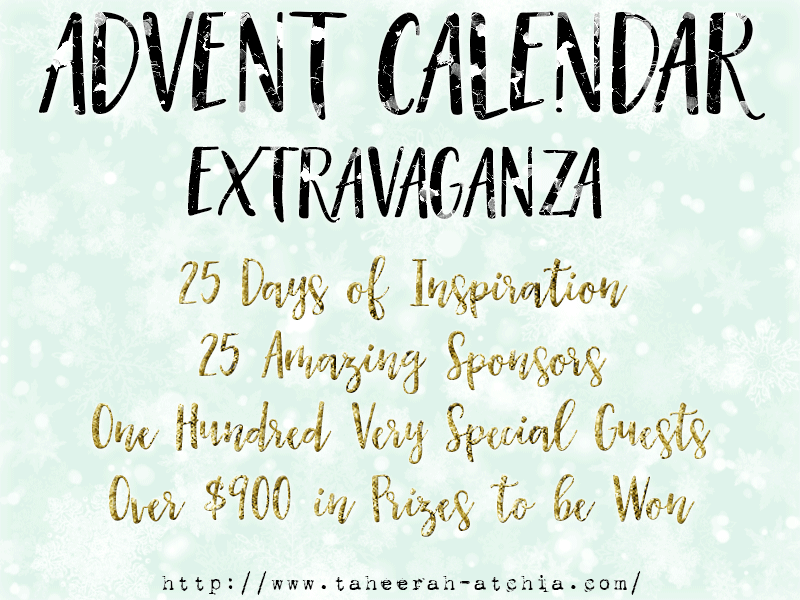 Simply leave a comment on this post to enter! 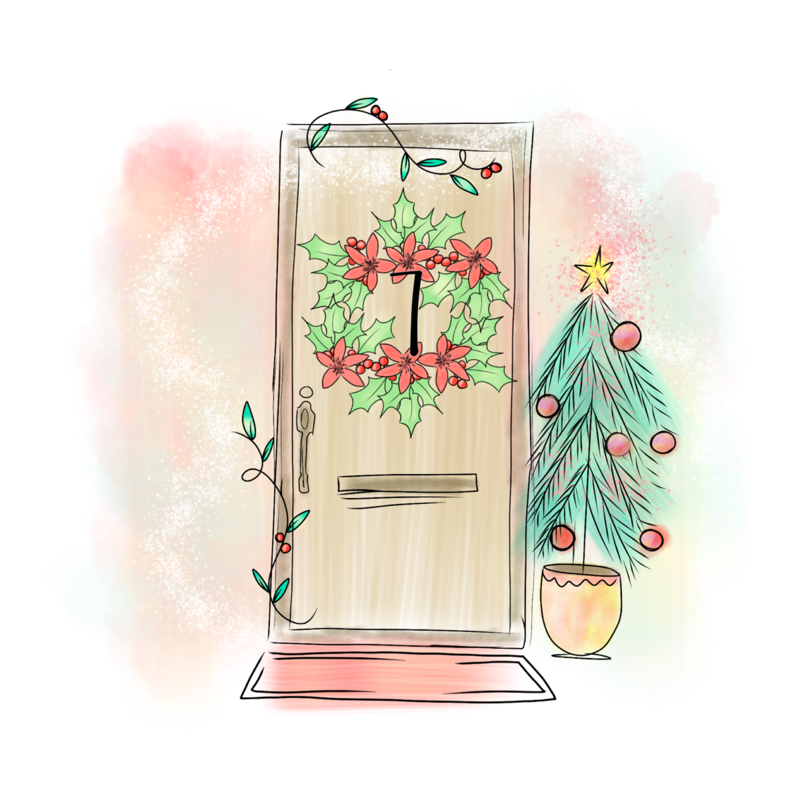 Don’t forget to grab the other surprise destinations from behind the door, and head over to them to leave comments there as well to improve your odds even more! 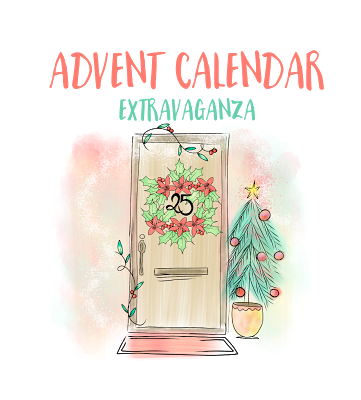 You have until 7am EST on Sunday 31st December to leave all your comments! You created a little piece of art; I love it. 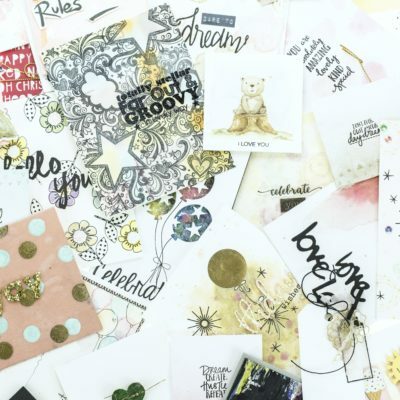 Although these style cards are too “cutesie” for my style for a Christmas card, I can see the use for them in scrapbooking for little kids and for baby/birth cards. There is so much talent out there! I’m going to cry!!! 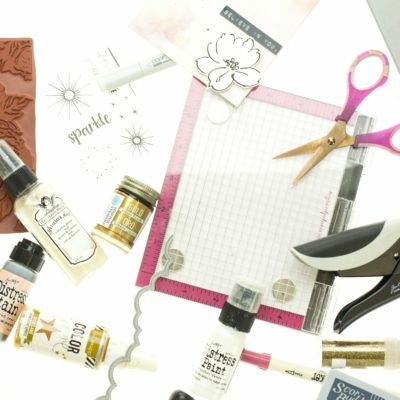 I just bought this stamp and die set and can’t wait to use it! This is just so adorable! I love these little bears, they just pull at my heartstrings!! Thanks for sharing! Merry Christmas! This Christmas scene is SO darling! I love the long shape of the card and the gorgeous coloring you have here! Wow! Darling card! I love the bears and the sweet scene you created! Beautiful coloring! Beautiful card! 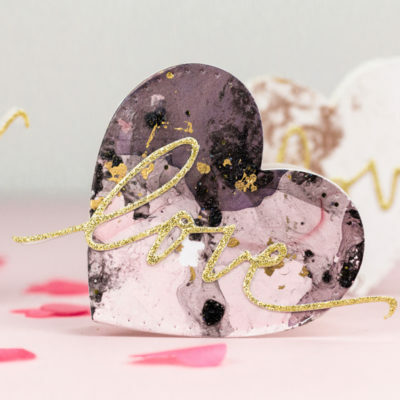 Love the elongated size and the beautiful sentiment in gold! So pretty with these adorable bears! oh my goodness, what a wonderful scene and wow so much work and terrific job coloring! What an adorable scene. Love it! What an adorable scene with this stamp set. The background works so well with these sweet bears. The long and skinny shape makes this card stand out. What a precious scene!!! Love those bears! 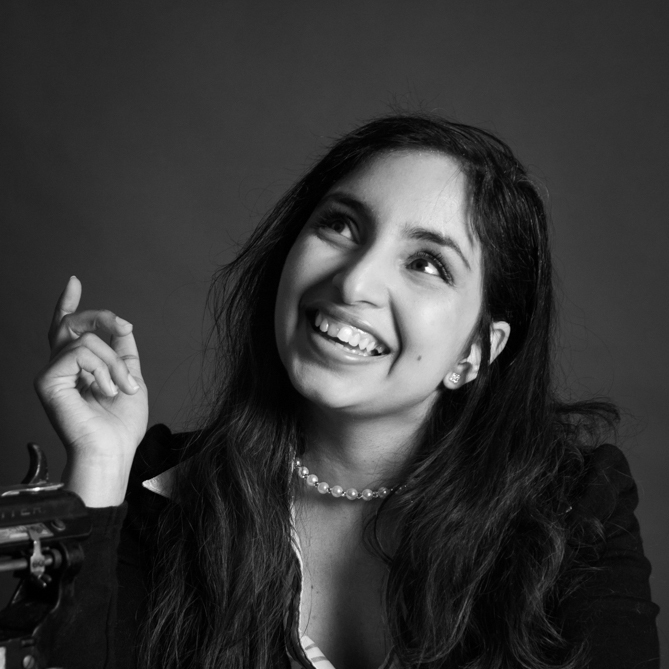 Oh my… this is cuteness overload, Taheerah! Adorable scene!!! The scene you’ve created with your sweet Mama Elephant stamps is adorable! What an adorable company. Thanks so much for sharing your talents in this very special event. This is most adorable. I like the card design as well! For sure a labor of love, but like you said, so worth it.. Absolutely beautiful. 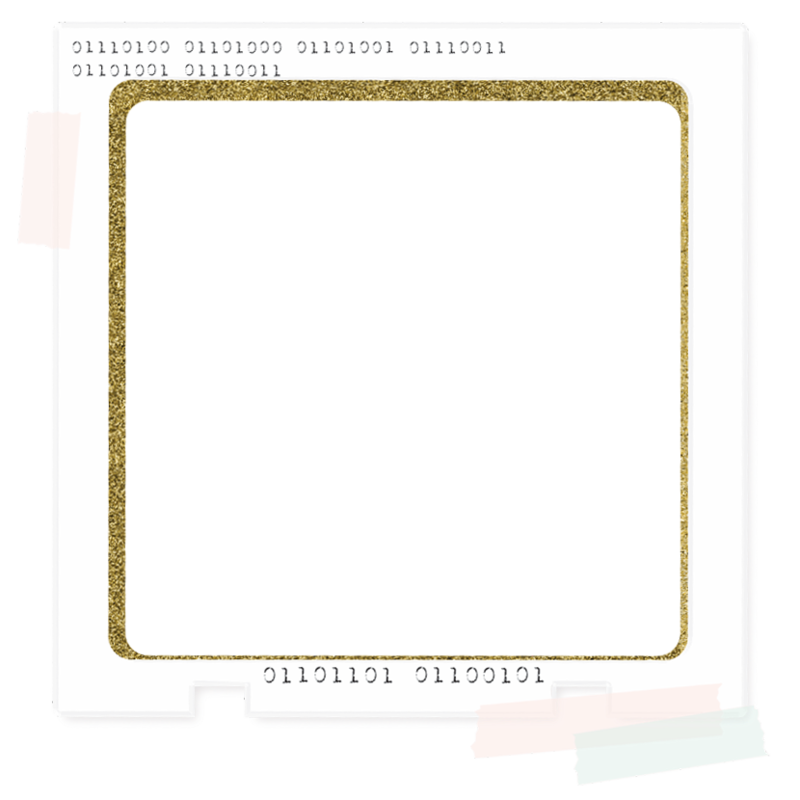 The cute, long, narrow card has such a vintage feel. Very pretty! Love the different size of the card. sentiment on it. Fantastic coloring. 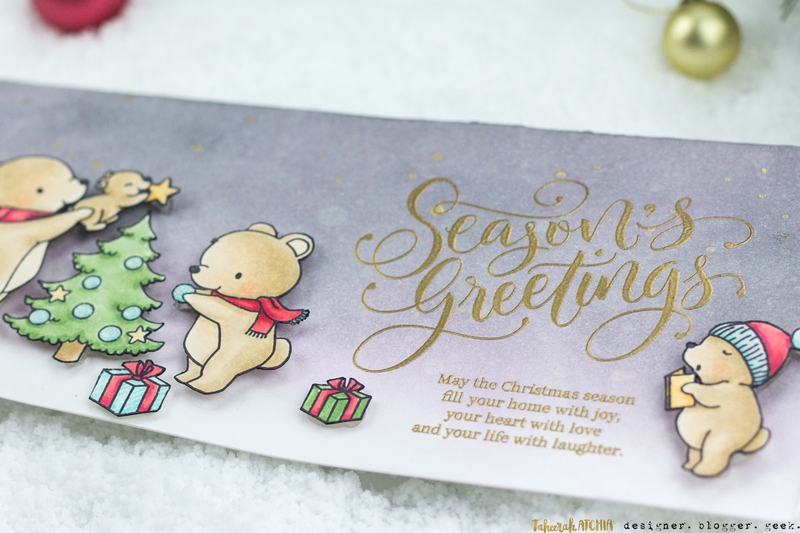 Such an adorable card–wonderful layout & coloring! Such an adorable card and size! So this is my favourite card of the hop so far! You. my friend, are seriously talented! I just love you card. It just great. I love this SO much. Those bears are absolutely precious!! Oh my goodness! I love everything about this card. The background, the coloring, the images and the sentiment! Great work here! My favorite card so far—I love this cheery scene. 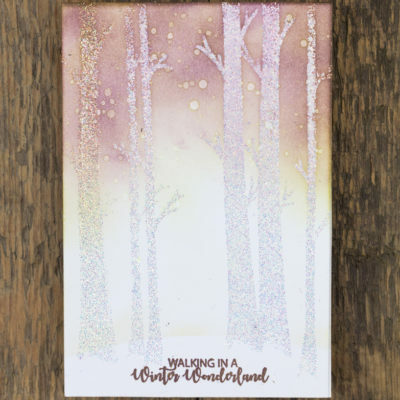 your long narrow card with that fantastic scene is wonderful – beautifully colored!! OMG!!! Your card is so gorgeous and so beautifully colored!!!! Cute card and Mama Elephant has such great illustrations! Thanks for sharing your wonderful card!! Oh wow! What an adorable scene!! 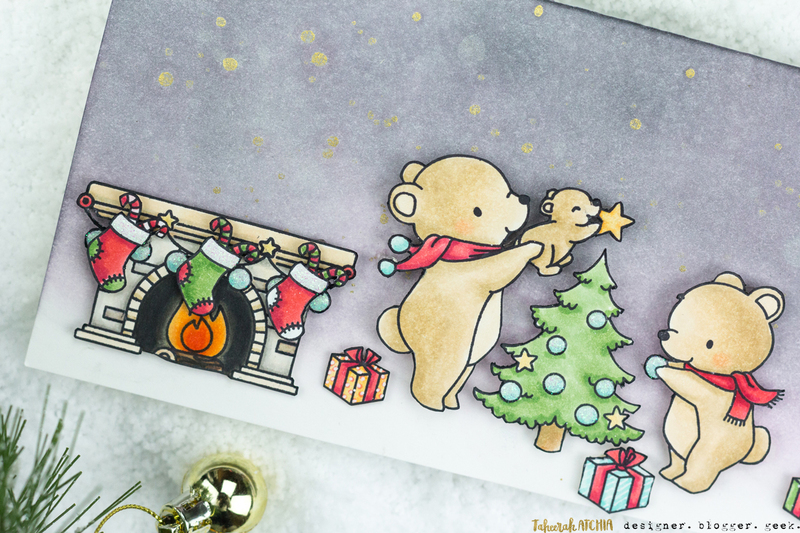 Super cute bears, gorgeous coloring and shimmer 🙂 I am so happy to be playing along and left some love on all the participating blogs for Day 7 🙂 Thank you for the chance to win! The scene you created is wonderful! Those bears are so cute… I love your soft watercoloring. And of course Mama Elephant is one of my favorite companies also! So,so cute! My favorite so far! The size & scene work perfectly! WOW, Girl that was a Labour af Love!! So Beautiful! Your coloring is amazing, so pretty. The way you do scenes is so awesome and I hate to fussy cut, it always amazes me that you like to do that, it shows you are VERY patient, I admire that, I really do, wish I could be like that. This card rocks girl! How adorable is your scene? Exponentially darling! 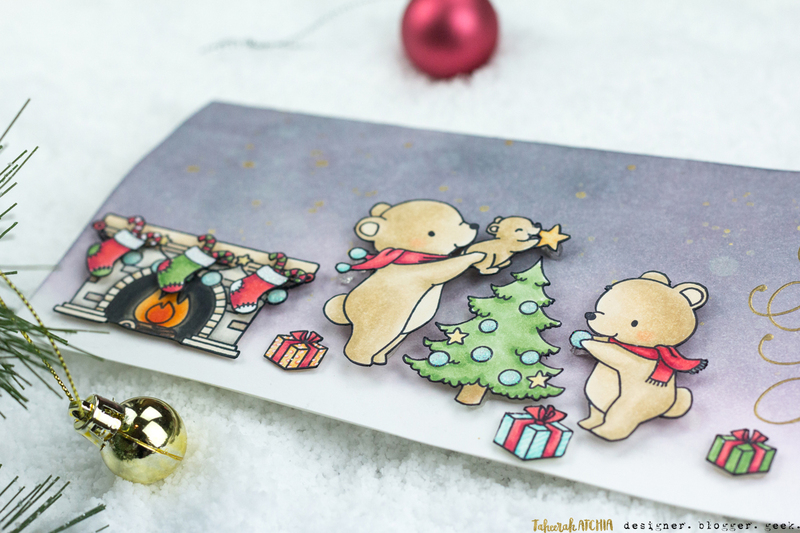 What could be cuter than your little bears, decorating their tree, and enjoying the warmth from the fireplace! I’m especially taken with your card’s overall design. I know you’re super busy but if you have a chance, can you let me/us know it’s dimensions? I’m stuck on A2…would love to try something different! Thank you again for the smiles! So super cute! Great job! bears, too. I love the long card. later to see if fixed). 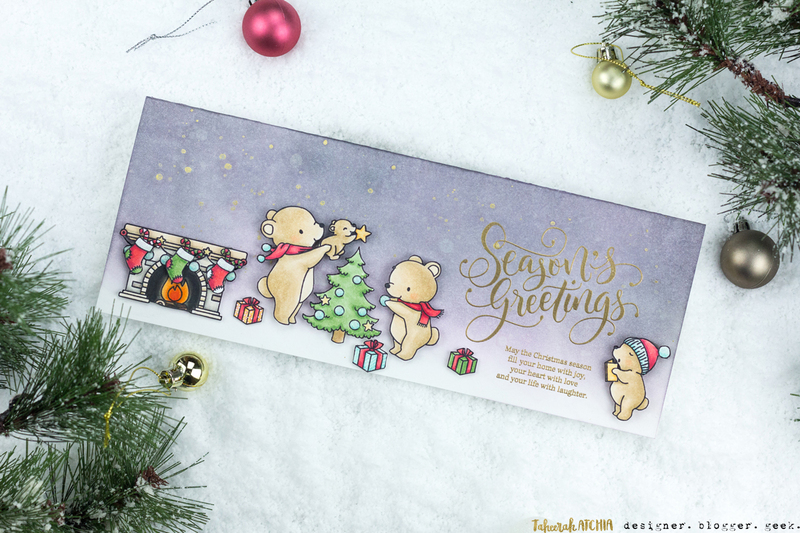 Gorgeous card, and those bears are adorable! What a wonderful card. Your images are fabulous and the sentiment is even more awesome! Love this sweet little scene. The coloring is amazing. I love all the details that are so beautifully put in! Ooohhh what an lovely card, I like bears a lot and you made a wonderfull scene with them. Behind door 5 there were 2 links the same, but I have enjoyed looking again. Darn cute, love the cheerful scene! Oh these little bears are just the cutest aren’t they? I love the scene you created and how you incorporated the sentiment, this card size & shape works really well for this design! Thank you for the beautiful holiday inspiration! Those are some busy bears! What a sweet card,,,those bears are darling!